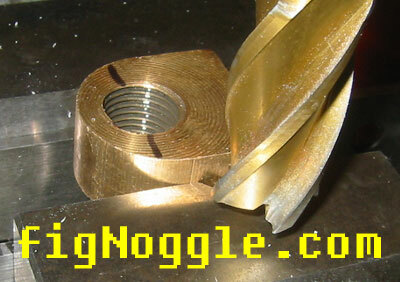 Reducing backlash in the stock nut and acme screw. It's a quick fix that fixes little. Mine went from 0.015" to 0.009". According to the DRO and controller software it's 0.002" but I don't believe it. I get varying results from multiple runs of tests. Will post them later. update: we have decided to upgrade the stock leadscrew and brass nut with a higher quality ACME and acetal/delrin anti-backlash nuts made in-house. 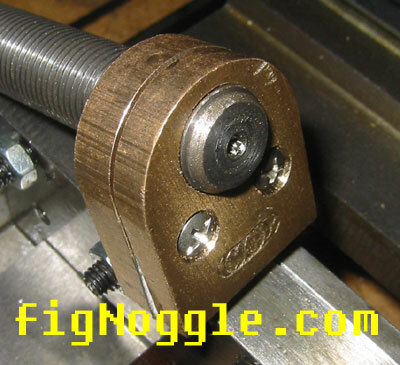 countersink to allow flush screw heads. 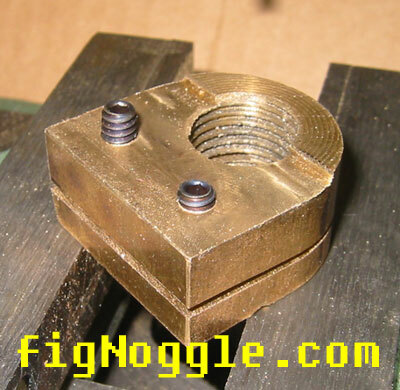 mounted to screw. note index cards sandwiched in there. 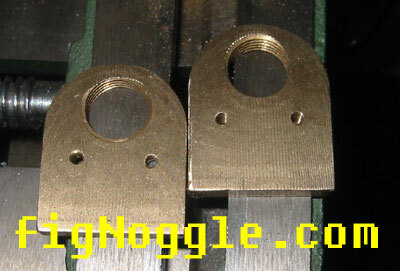 better to use shim stock. 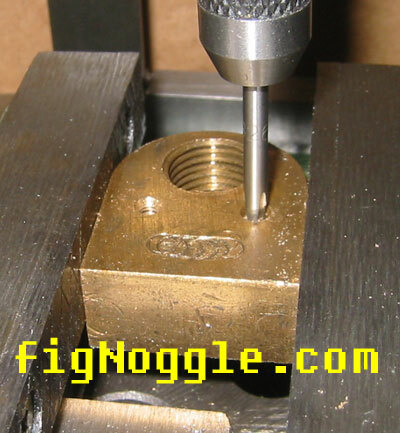 i had to take the nut out so there was no x-axis movement by screw. 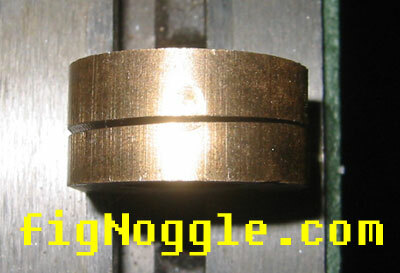 it's a quick .030" off the top. 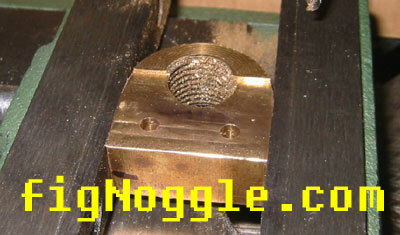 drill the holes about 3/4" of the way through. see the black mark. 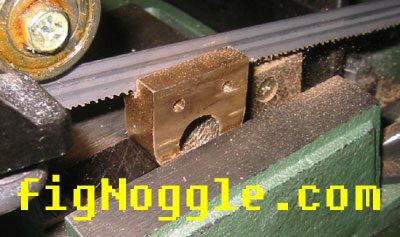 bandsawing here. note the angle. cut it down past half of the acme thread. 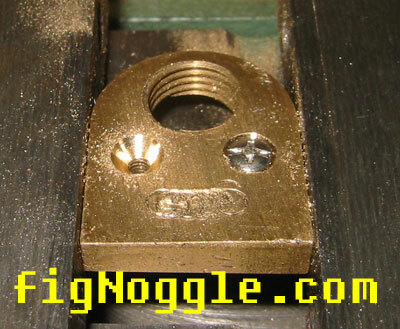 because of the limited space at the top of the nut where the fillets are, it's not a good idea to put two screws next to the hole (the best way), so a compromise is made. ok it's finished with the 10-24 set screws. 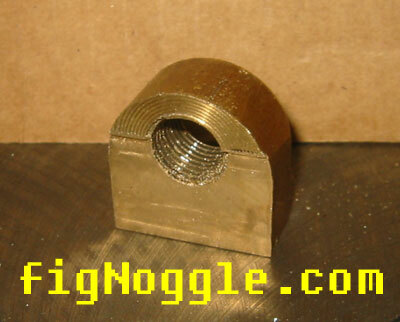 when you thread in, the nut splits apart creating a quasi-anti-backlash nut action. 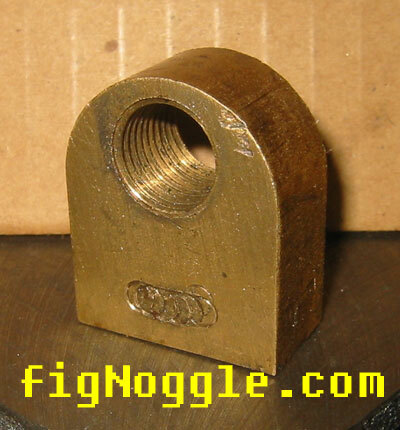 this works better than a complete split of the nut (as i had done in the y-axis). 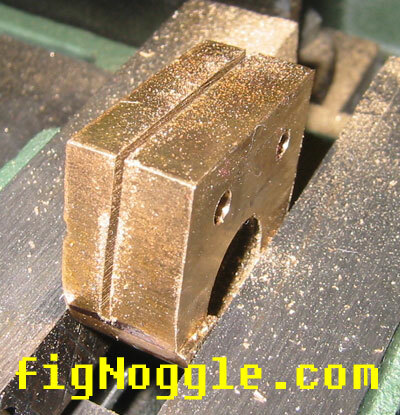 in having the split at the bottom, the problem becomes having the two locking set screws pushing against the halves, thereby negating (slightly) the effect of the split preload to begin with.